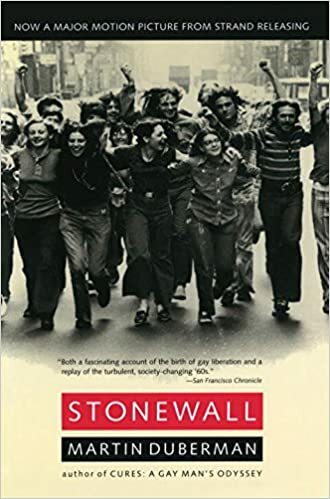 “As scholars we should read Stonewall, and as teachers we should assign it. All of us will be challenged to build on it.”—Michael Sherry, Northwestern Univ. “Both a fascinating account of the birth of gay liberation and a replay of the turbulent, society-changing 60s.”—San Francisco Chronicle. This is the only bible I live by. This book is ideal for dumpster divers and those who frequent the food bank. Instead of recipes, it contains lists of flavors that work well together. It’s a cookbook that doesn’t tell you what cook, it tells you how to cook! Marin Duberman is a Great Historian. He manages to put everything in context while preserving much of the “real life” messiness. And it is all grounded and highlighted by his belief in Individuality (in the best sense!) and the importance of day-to -day life. Even people who don’t identify as “Gay” – or “don’t like history” will probably like this book.